Technology and construction attractions, Made in Europe - Direct Alpine s.r.o. 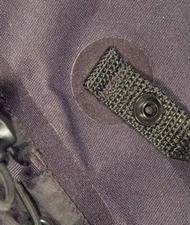 Only using the up to date technologies allows us to move the functionality and design of our outdoor clothing forward. The most frequently used technologies of the outdoor industry are, among other, backing the seams, Laser cutting + ultrasonic and the seamless technologies – welding, glueing, etc. You can meet those technologies used also on some of our products so we will try to explain them a little. Already a standard feature of outdoor clothing. It is possible to back the seams (more common way) – Mallet, Midi etc. (hardshell, packlite), or seal them (Trango, Eiger). Sometimes we can better use the expression welding then sealing. Currently is the sealing used even for the softshell materials (inner fleece layer is abraded and the tape is sealed right onto the membrane). The question arises about the reasonability of a 100% waterproof and “sealed” softshell jacket. The trend is rather to “open” the softshell jackets and trousers to increase their breathability. The tapes as well as the protective overprints are produced in variety of required colours and designs. The only condition is the minimal production amount. 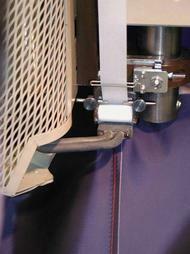 The taping process is similar to seaming the cut parts. The only difference is that taped is already seamed jacket or its part. This part is then pulled into taping rollers where is heat and pressure used to apply the tape. Detailed application of the tape shows the following picture. 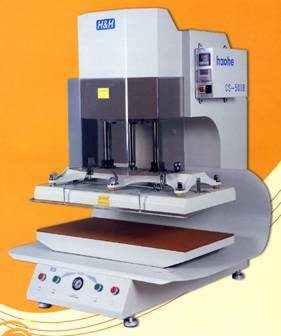 The laser cutting is the most frequently used technology for cutting the fabric, cutting out different shapes and logos etc. This technology of course rises the price of the final product though the quality and precision is 100% and so, frankly, irreplaceable. See for example the breathing vents (Trango) etc. Ultrasonic is one of the ways of the seamless joins of the cut parts or product parts. Again it is time and many more consuming technology but excellent from the design and functionality point of view. 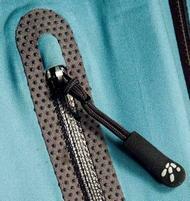 So far the Direct Alpine uses this technology for example for the Guide jacket (w08). The welding technology is used approximately from the year 2000. Welding means joining two pieces of same or different materials together using special joining material. Sometimes is welding also referred to as the seamless, laminating or backing technology. Fabrics are joined together by special “tape” that is melted using the heat or ultrasonic (high-frequency radiation). Among the advantages of the welding technology are design and functionality (thanks to the welding are the seams flat). The main aim of the Hybrid system is to find the balance (joining different kinds of materials) or optimal functionality of the product (“WWV” – waterproof, windproof, vapour permeability). It is often the case of joining membrane and non-membrane materials, completed with functional knitting to optimise the functionality (Peak, Glider, Lizzart). An excellent protection for the fabric against permanent soiling and it also gives the fabric long-lasting waterproof along with keeping the permeability and touch. Due to added nano particles (1/1000 size of human hair) in the fabric structure, the water and dirt don’t penetrate into it but stay on the surface. 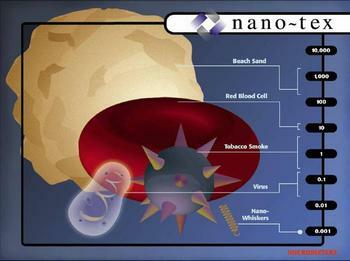 Nano technology is permanent without any effect on the features of the fabric (touch, permeability …). Type of the final adjustment of the fabric that was developed based on requirement of Direct Alpinen for material used for Badile trousers and Peak jacket to increase its functionality. 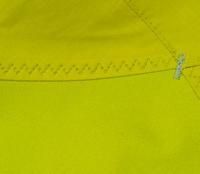 It is a technology of one side WR and quick-dry (wicking) finish. Purposeful positioning of the cut parts in order to achieve maximal function especially in elasticity. 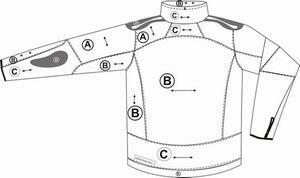 Different positioning is quite distinct for example on the Peak jacket (arrows show the stretch way of particular cut parts). Avalanche rescue system based on the reflection of the Recco® detector (used by rescue groups) in the Recco® reflector (kind mirror affixed on the clothes). This, Swedish patented, system is mainly used in Alps. From the collection winter 08/09.